After pressing the sand-lime brick blanks are placed onto a hardening carriage. Even smallest changes in the mixture, moisture, or in the pressing force lead to undefined growth of the bricks and make it difficult to observe the required brick height. A non-contacting laser-optical measuring system with down-stream evaluation logic is installed above the conveyor belt. 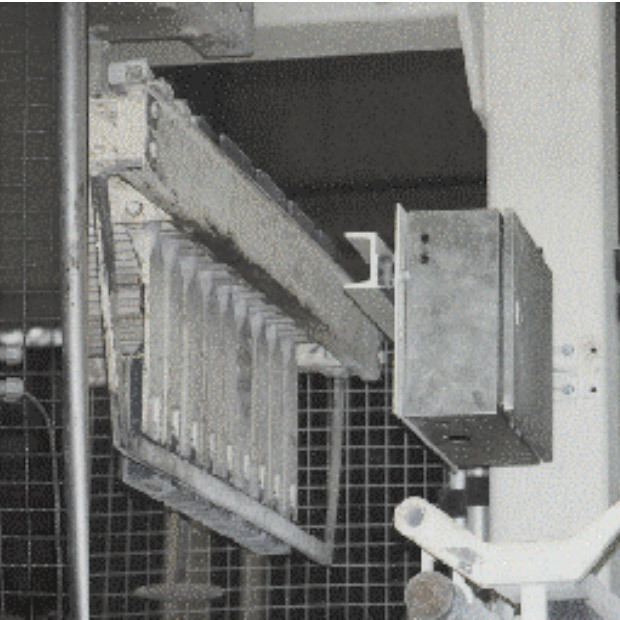 This system measures the brick height and allows automatic signalling and sorting of the products that exceed the upper or lower tolerance limits.